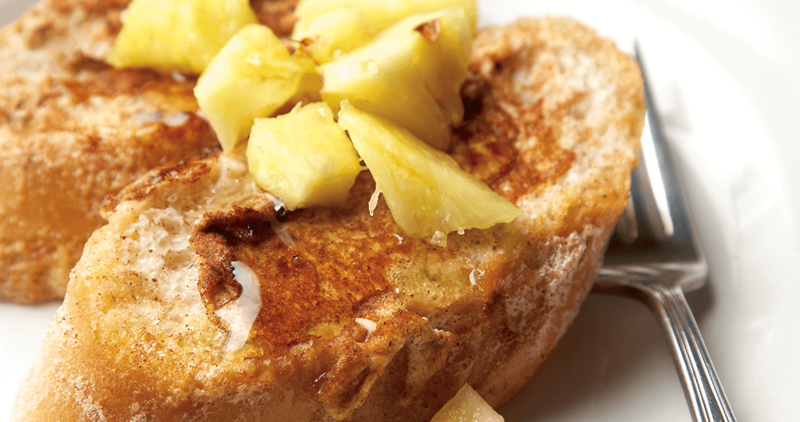 This pineapple french toast recipe from Dinner on the Grounds is a great way to jazz up your breakfast. In a medium bowl, beat egg whites with wire whisk until light and fluffy. Beat in pineapple juice and cinnamon; mix completely. Spray nonstick griddle until it sizzles. Dip 1 slice bread in egg mixture. Place on griddle, and cook until browned on both sides. Repeat until all bread is cooked. Top with pineapple and honey. Yield: 2 servings.